The PLO’s behavior with Abu Ali and India indicates three things. First, that the PLO/PA is no longer immune from criticism in quarters where it received five decades of unconditional support. Second, it indicates that the PLO/PA is incapable of changing its behavior, even when it is aware that it ought to. Finally, the PLO/PA is still operating under the impression that nations will continue to support them forever because the basis of that support is unchanged. The problem for the PLO/PA is that the world has changed fundamentally while they were busy embracing terrorists and getting away with it. The economic and strategic realities of Israel cannot be ignored. Modi and his counterparts worldwide are now recognizing that the Palestinians have nothing to offer them, not even gratitude. When a critical mass of Palestinians recognize that the PLO’s jig is up, they will make peace with Israel. Until then, they will continue to serve as an irritating irrelevancy and nothing more. The PLO and the Palestinian cause more generally are sinking into irrelevance and rather than reform their policies to rebuild their position, they have adopted a scorched earth policy that only intensifies their race to the bottom. On the face of things, the situation isn’t bad. Last month the PLO got 128 nations to vote in favor of their anti-American resolution rejecting US President Donald Trump’s recognition of Jerusalem as Israel’s capital. One of the states that voted with them was India. Israel was shocked by India’s move. Prime Minister Benjamin Netanyahu rightly touts the growth of Israel’s bilateral ties with the largest democracy in the world. Indian Prime Minister Narendra Modi’s extraordinary visit to Israel last July highlighted the change. 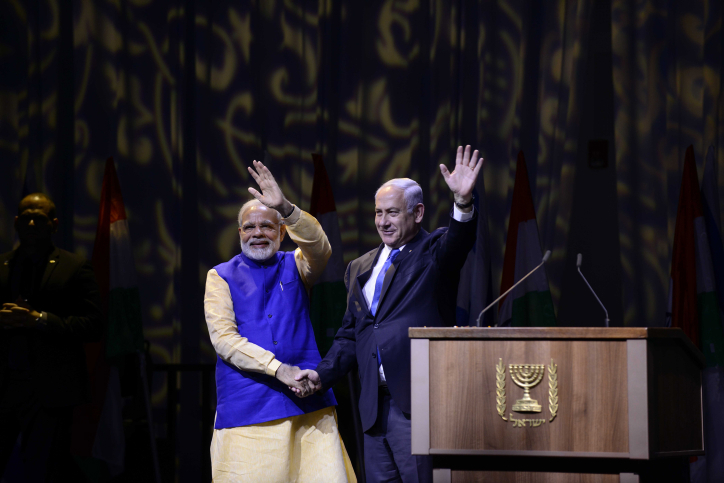 Netanyahu’s visit to New Delhi later this month will cement the new alliance. Not only has Modi enthusiastically cultivated close ties with Israel, he has moved closer to Israel in its conflict with the PLO than any of his predecessors. In 2015, India abstained from an anti-Israel resolution at the UN Human Rights Council. Modi refused to visit the Palestinian Authority during his visit to Israel. And PLO chief and PA chairman Mahmoud Abbas’s visit to India earlier this year, Modi refused to say – as his predecessors have said – that the capital of a Palestinian state should be located in eastern Jerusalem. And yet, last month at the UN, it felt like none of this had happened. India reverted to its previous posture of blind support for the PLO and joined the chorus in attacking America for recognizing that Jerusalem is Israel’s capital. The Palestinians for their part were justifiably elated. Now, they thought, they were back in the driver’s seat. 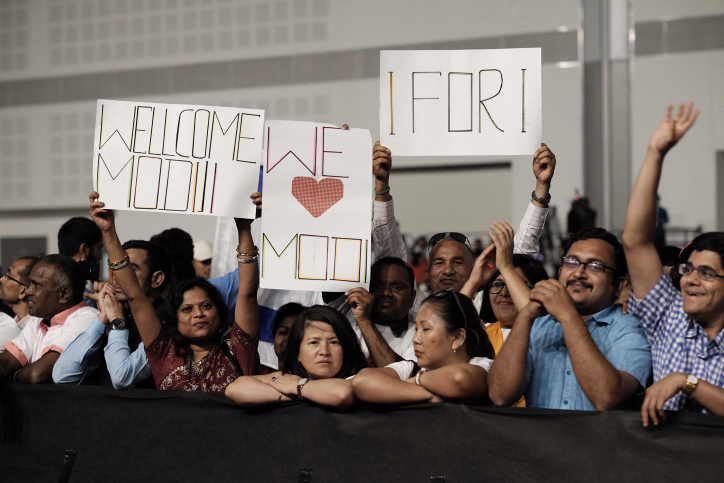 Trump is an aberration and the world – including India, continues to support them no matter what. They are today where they were in 1975 when the UN General Assembly passed Resolution 3371 defining the Jewish national liberation movement as a form of racism. Then, less than a week after the UN vote, the PLO’s envoy to Pakistan, Walid Abu Ali, shared a stage in Rawalpindi with the mastermind of the 2008 terrorist attacks in Mumbai. Lashkar e-Taibi leader Hafiz Muhammad Saeed is wanted by India not only for the massacre of more than 160 people in the Mumbai attacks. He is also wanted for his involvement in terrorist attacks in the city in 2006, which killed more than 200 people, and for a shooting at the Indian Parliament, an incident in which another 14 were killed in 2001. Abu Ali didn’t think there would be any price to pay for his decision to embrace a mass-murdering terrorist. It’s what the PLO has always done. And so he posted photos of himself with Saeed online. But it turns out that despite India’s vote, things have changed. A lot. Abu Ali’s embraces of Saeed were widely and angrily reported in the Indian media. In response, Abbas announced that he was recalling Abu Ali. This would have been fine if it were true. But this week it was reported that Abu Ali is back in business in Islamabad. This week, The Economist published its annual data on per capita GDP in countries throughout the world. For the first time, Israel’s GDP per capita has jumped above $40,000. According to the Economist’s data, per capita GDP in Israel jumped from $38,127 in 2016 to $44,019 in 2017. GDP grew 4.4% last year. Today Israel’s GDP per capita is higher than GDP per capita in Japan, Britain and France. The gap in Israel’s favor is expected to widen in the years to come as Israel’s GDP continues to grow and the GDPs of European states and Japan continue to stagnate due to negative fertility, continued migration of uneducated newcomers and lack of innovation. In its own neighborhood, Israel’s neighbors remain economic and political basket cases. As Dr. Guy Bechor noted in his analysis of the data earlier this week, Egypt’s per capita GDP of $2,519 is one seventeenth of Israel’s. Jordan’s per capita income dropped last year from $4,648 to $4,135 and prospects for 2018 aren’t positive. The situation is similarly bleak in the Gulf States, despite their oil and gas reserves. Iran, for instance, is poor and forecasts for the future are terrible. Last year, despite the $100 billion windfall the regime received from sanctions relief, per capita GDP in Iran dropped from $6,144 in 2016 to $5,879. Wars in Syria, Yemen, Iran, Lebanon and Gaza don’t come cheap. Egypt, Saudi Arabia and other Arab states are drawn to Israel not only because of their joint security concerns about Iran. They are also eager to expand ties with Israel to benefit from its civilian technologies in everything from agriculture and water technologies to digital communications. And they are not about to allow the Palestinians to stop their cavalcade to Israel. Kholi explained that a new Palestinian campaign of terrorism against Israel will harm Egypt by strengthening Islamic State (ISIS), Hamas and the Muslim Brotherhood. So while it is true that 128 countries – including India, Egypt and Saudi Arabia – voted with the PLO against Israel and the US at the UN last month, it is also true that their votes don’t signify as much as they used to. It is equally true that the Palestinians can’t try their patience by pushing anti-Israel resolutions every day as they have for the past 45 years. Because as the Palestinians keep playing their old tricks, Israel is becoming a more and more significant regional and global power and the nations of the world aren’t interested in weakening Israel when Israel is helping them survive and prosper. As Abu Ali’s continued tenure in Pakistan shows, rather than recognize the shifting power balance and update their positions to align with it, the PLO has become even more brittle and reactionary and extreme. If Egypt doesn’t support their war against Israel, then they will take their roadshow to Tehran, or its Lebanese satrapy. On December 31, Fatah Central Committee member Azzam al-Ahmad met with Hezbollah chief Hassan Nasrallah in Beirut. After meeting with al-Ahmad, Nasrallah told al Mayadeen TV that Fatah – led by Abbas – agreed to “activate a third intifada,” or terror war, against Israel. PA parliament members also visited Lebanon and met with Iranian-controlled Prime Minister Saad Hariri. Sunday night, Israel Channel 2 reported that terrorist incitement is rising steeply in the official PA media and social media networks. One video, of a faked shooting of a Palestinian teenage girl by an actor dressed in an IDF uniform, has gone viral. Thousands of viewers have responded to the fake scene with pledges to kill Israelis to avenge the fake death. When later this month Netanyahu meets Modi in Delhi, India’s UN vote and Abu Ali’s embrace of Saeed will be on the agenda. And there is good reason to believe that Modi will recognize the linkage and vote differently in the future. Like Netanyahu, he recognizes that the PLO’s basic case is wrong. Peace is achieved by defeating terrorists, not by empowering them. Moreover, Israel beckons. The economic and strategic realities of Israel cannot be ignored. Modi and his counterparts worldwide are now recognizing that the Palestinians have nothing to offer them, not even gratitude. When a critical mass of Palestinians recognize that the PLO’s jig is up, they will make peace with Israel. Until then, they will continue to serve as an irritating irrelevancy and nothing more. Following the recent visit of Indian Prime Minister Narendra Modi to Israel and his failure to visit Ramallah, Ghassan Charbel, editor of the London-based Saudi daily Al-Sharq Al-Awsat, published an article about the economic and cultural gaps between the West and the Arab world and about the contrast between Israel’s successes in science and technology and the weaknesses of its Arab neighbors, as reflected in Modi’s Israel visit. Charbel noted that the West pays close attention to issues such as human rights, protection of the environment, and public health, while the Arab world neglects them, which is why Arabs feel envious of the West. As for Israel, Charbel notes its scientific and technological capabilities and what it has to offer to a giant world power such as India, contrasting it with Israel’s neighbors, mired in extremism and internal wars. Charbel notes that in the past India was the first country to support the Palestinians in every way, while today its Prime Minister, upon visiting the region, ignored them completely. According to Charbel, this causes Arabs to feel not only envious but completely defeated. “My friend was astonished. He comes from a world in which an [entire] city can be razed and no one would bat an eyelash. A citizen can be killed, and neither his wife nor his mother will have the right to ask why… A tree here [in Britain] has more rights than a citizen of the [Arab] countries of torture and suffering. “Envy is neither a useful nor a noble emotion and it usually opens the gates of bitterness and hatred, [yet] it is not unusual for an Arab to suffer from this malady [of envy]. If an Arab visits a museum in a developed country he immediately thinks about what happened to the antiquities in Iraq and in Syria… If he notices the attention paid in Oslo to public health he remembers where the sewage flows in some Arab capital or another. “Trying to minimize his disappointment, the Arab sometimes searches for excuses for the yawning chasm between him and the developed world. We are in a completely different historical phase. Those countries [in Europe] are reaping the fruits of great events that occurred there and changed the face of the world: the French Revolution, the Industrial Revolution, the ideas of the Renaissance, the separation of church and state, German philosophy, and the huge change in the status of women. “The Arab feels envy again, [because] the Europeans experienced wars between nationalities and sects, border disputes and plans for conquering and wiping out [the other]. They painted the continent and the whole world with blood – but they emerged in the end with conclusions. The empires became [exhibits on] museum shelves and sentences in history books; borders were transformed into bridges, not walls; [the European] societies accepted the right to be different. Minorities are no longer thought of as mines that must be defused. The constitutions [in Europe] prevent the majority from erasing the characteristics of those who disagree with it. These countries no longer seek historic leaders whose biographies are soaked in blood; they seek governments that devote [themselves] to fighting unemployment, developing the economy, encouraging investments, protecting the environment, and [combatting] the problem of climate change. The visiting Arab is consumed with envy. “Modi evidently sees Israel as a technological lighthouse, and spoke about the need for his gigantic country to benefit from Israel’s capabilities in this sphere. The result was that Modi and Netanyahu signed an agreement worth $2 billion, according to which India will receive the Israeli Iron Dome System to [detect and intercept] rockets and artillery. In addition, a Memorandum of Understanding was signed to establish an India-Israel Industrial R&D and Innovation Fund. Other agreements included areas such as water, agricultural development in India, and partnership in economic projects in Africa and the developing world. “It is not enough to explain what happened by saying that Modi belongs to an extremist nationalist Hindu stream and that ‘jihadist’ terrorism increased his conviction that ties with Israel should be strengthened. The important point is that a country the size of Israel has something to offer the Indian army, beyond the role it [already] played in the past in developing the Soviet and Russian weapons that were owned by India; that it also has something to offer [in the spheres of] agricultural development and treatment of water problems, and [can maintain] a strategic military, security, and economic relationship with a country of the size and stature of India. “The Arab was disturbed by the arrogance of Netanyahu’s speeches during Modi’s visit, but when he opened the map of the terrifying Middle East, he discovered that Israel had achieved a series of victories in recent years without firing a single bullet. Maps, countries, armies and economies around it have crumbled. Waves of extremism caused catastrophes in some parts of the Arab world compared to which the Palestinian Nakba is but one clause among many. Al-Sharq Al-Awsat (London), July 10, 2017. 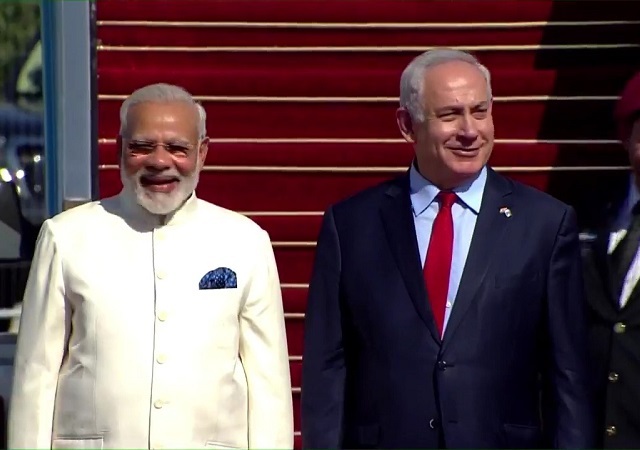 Narendra Modi’s three-day visit Israel on 4 July is imbued with symbolism, breathtaking benefits to the two countries and an era of promise for both. Its timing underlines the slow upswing in ties from years of aloofness to the establishment of diplomatic ties 25 years ago and the onset of flourishing relations ever since. Modi stands out for Israel – not just as the first Indian prime minister to visit, but also as a prominent world leader willing to skip the Palestinian Authority in Ramallah, thereby removing the automatic bracket attached to most foreign visits. This gesture is appreciated in Israel no less than booming defense deals totaling more than $1 billion a year and the joint projects in water management, cyberspace, data protection, agricultural innovation, medicine, digitalization and numberless other fields with the world’s fastest growing major economy. Fighting terrorism and sustainable development are watchwords shared by one of the largest and one of the smallest Asian nations. On the eve of his visit, the Indian leader spoke of Israel’s innovativeness, high technological attainments and economic success against all odds, in the face of few natural resources and decades of near-isolation. He saw his visit as a turning point for catapulting the two countries to new horizons. Since Modi’s Bharatiya Janata Party stormed to power in 2014, New Delhi has signed more big-ticket defense deals than ever before for his program of updating his country’s Soviet-era military hardware to counter long-standing rivalry with China and Pakistan. While Russia – followed by the United States in recent years – remains India’s top defense supplier, Israel is fast catching up. In April 2017, Israel Aerospace netted its biggest ever contract to supply the Indian armed forces with $2 billion worth of the groundbreaking Barak 8 Medium Range-Surface to Air Missiles as well as Long Range-Surface to Air Missiles for India’s warships and its first indigenous aircraft carrier, the Vikrant. 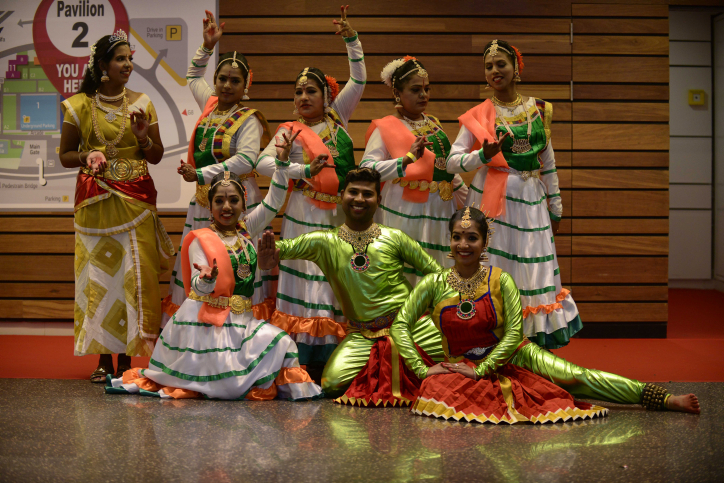 The two-way trade between the two countries amounting to $4.16 billion gives Israel a large surplus of $2.4 billion in exports compared with $1.7 billion of imported Indian products. Prime Minister Modi will certainly want to discuss with Israel’s leaders ways to correct this imbalance. Many of the defense deals already signed include military components to be manufactured in plants established in India for this purpose. The two governments also work together in a joint industrial R&D fund which provides funding for industries carrying out bilateral research projects. While computerized drip irrigation developed by Israel is gaining extensive use in India, New Delhi is also interested in the Israeli start-up ecosystem and incubation centers. It was in a far-distant age, that Prime Minister Indira Ghandi authorized the Indian army to buy weapons from Israel during India’s 1971 war with Pakistan. But the sale had to go through Liechtenstein after Ghandi turned down Golda Meir’s request for India to recognize the fledgling Jewish state. It took 21 years and a new era for both countries to correct that omission.. While in Jerusalem, the Indian prime minister plans to visit the Yad Vashem Holocaust Memorial center. Touching a moment in past history, he will also pay his respects to the memory of the Indian soldiers who laid down their lives for the liberation of Haifa by the British army in 1918. From Jerusalem, Modi travels to Hamburg, Germany, for the G-20 summit beginning later this week.